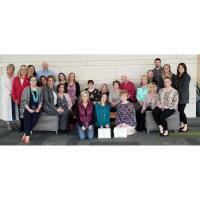 Mary Seely, Director, Convention & Visitors Bureau is a graduate of the Iowa Tourism Leadership Institute held March 27-29 at The Hotel Kirkwood in Cedar Rapids, IA. The institute provides Iowa tourism professionals an opportunity to expand their leadership knowledge and skills. Photo Caption: Mary Seely was part of the year two class and is pictured with fellow institute attendees. If you would like more information about the Iowa Tourism Leadership Institute contact Ann Vogelbacher, Central Iowa Tourism Region at 800-285-5842 or ann@iowatourism.com or Carrie Koelker, Eastern Iowa Tourism Association at 800-891-3482 or carrie@easterniowatourism.org.